Nutrient-Rich Chocolaty Composted Chicken Crap. 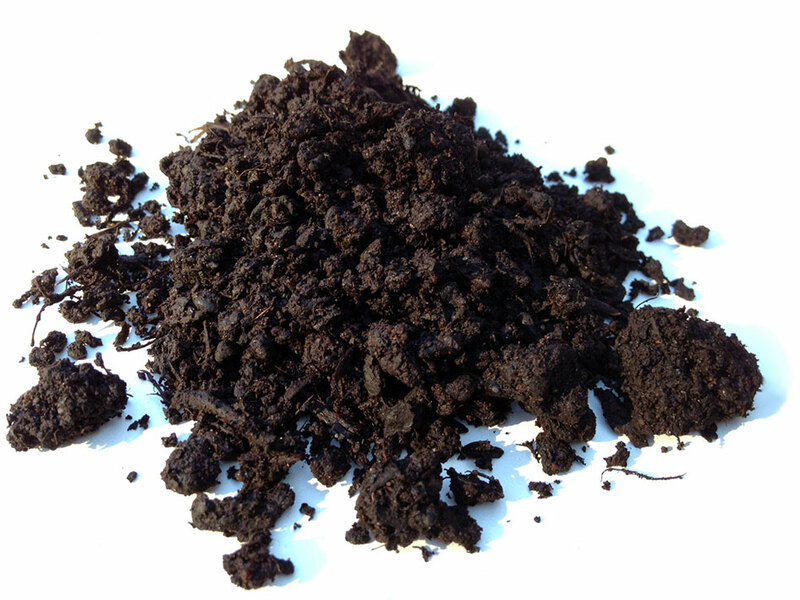 improve the structure & long term quality of your soil. "closing the loop on poop" solution for our legendary local chicken farms. We have blended this high quality, nutrient rich crap with grape pumace, a by-product from our Northern California wine growers. This combination will have your soil singing "Poulet Poo avec moi ce soir!" 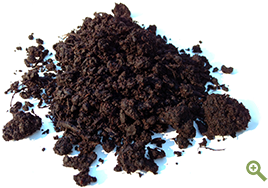 Composted chicken manure provides more Nitrogen, Phosphorus & Potassium to your plants compared to most other manures. 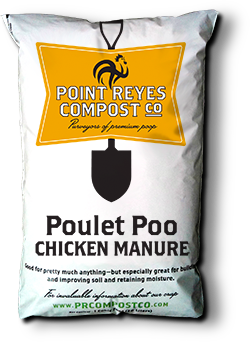 Boasting an NPK of 2-2-2, Poulet Poo will enhance your soil with these three basic elements: Nitrogen - allowing plants to produce the proteins needed to build living tissue for green stems, strong roots and lots of leaves; Phosphorus to help move energy throughout the plant; and Potassium which aids plants in adapting sugars needed in growth and is especially helpful in root crops. © Point Reyes Compost Co. All Rights Reserved.